Root Canal Treatment is a dental procedure that removes the nerve or dental pulp of the tooth. This is often required when the nerve of a tooth has been damaged by trauma or more commonly tooth decay. 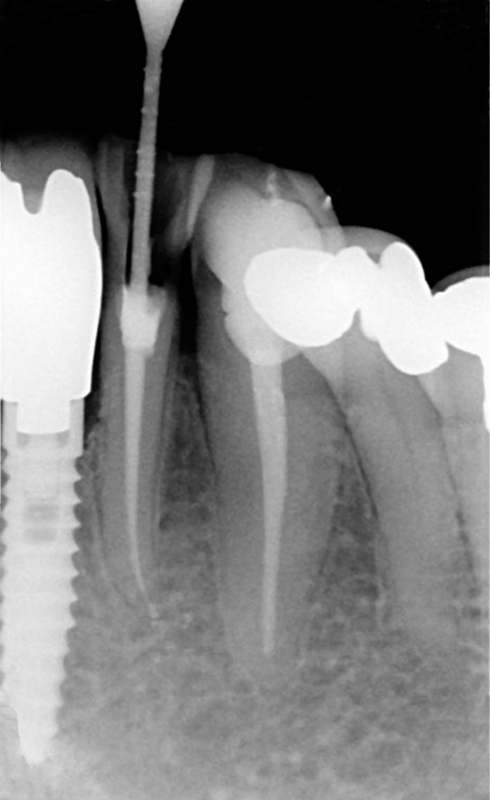 Often Root Canal Therapy is the alternative to tooth extraction and often required to retain/save a damaged tooth. All Dentists are trained in Root Canal Therapy procedures with years of experience. A root canal treatment involves drilling a hole into a decayed tooth or removing the soft center or dental pulp. The dental pulp is made up of connective tissue, nerve and blood supply and extends into the roots of the tooth. Root canal treatment can be performed by your local dentist or a specialist endodontist. A root canal treatment can save a badly infected or decayed tooth. Few reasons behind infected tooth can be decay, injury to the tooth, cracked filling or repeated dental work.Once the dental pulp is damaged bacteria can start multiply inside the tooth which can lead to infection or abscess. Sometimes pocket of pus forms at the end of the tooth’s root. An infected/traumatised tooth can be very painful, and may/may not be associated with swelling which can either be localised or in more severe cases swelling which extends into the surrounding tissues. The tooth is often sore to pressure, for example biting and also to thermal changes. An infected tooth may also cause a level of discomfort that wakes a patient from their sleep and which is not necessarily relieved by analgesics (pain killers). Root Canal Therapy treatment removes the inflamed or infected pulp from the tooth. As part of the procedure the canal within each root which houses the nerve, is cleaned and prepared to accept a filling material which eventually fills the canals where the nerves were previously. The procedure may take more than one visit and antibacterial dressings may be placed into the tooth in between dental appointments to assist the healing process and to reduce any inflammation and infection. A temporary filling is used to protect the tooth during in between appointments. Once the root canal therapy is finished your dentist will insist on placing a dental crown over the tooth to assist in protecting the tooth in the longer term. The cost of Root Canal Treatment will vary according to the number of root canals present in a tooth. All patients will receive a detailed treatment plan and estimate of fees prior to any treatment commencing. Feel free to call and book your first complimentary consultation with Dr Singh to discuss your options and payment options.